Babyology Scoop - Woody chair now at Little Nest with free shipping for our readers! Babyology Scoop – Woody chair now at Little Nest with free shipping for our readers! I have a huge problem with chairs. I fall in love with them far too easily and, you guessed it, we have an abundance of them scattered all over our home. 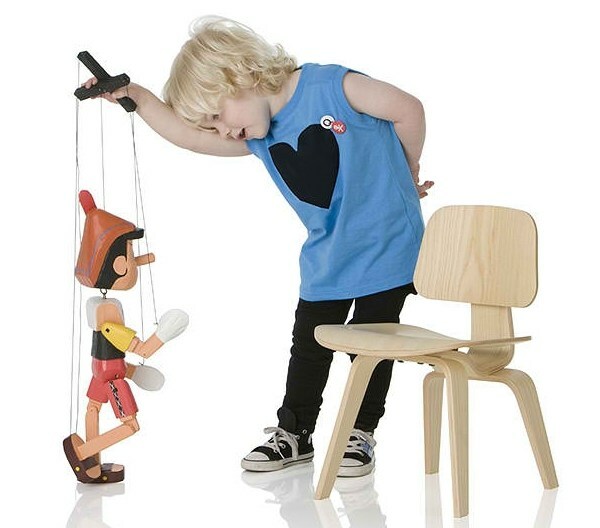 How then to resist the obvious charms of the brand new child-sized Woody chair from Little Nest? We’ve featured this awesome kiddy retro furniture store before and it appears we can’t get enough, with each new release as exciting as the last. This might just be the chair that tips me over the edge into chair craziness, with floor space becoming a rare commodity around here. It’s a delectable miniaturised version of Ray and Charles Eames’ Lounge Chair Wood, designed in 1946. It’s the baby of a great chair legend! Available for pre-order right now for an end of May delivery, Woody comes in four divine finishes – Natural Ash, Walnut, Black Stain and Pink Stain. These beauties are an absolute steal at just $129 each, but to sweeten the deal Little Nest is offering Babyologists free shipping until Sunday 23 May only if you use the code BABYOLOGY upon check out! This code applies to Australia and the USA only, and is for standard shipping methods.